The wire rope sling made of steel wire ropes is part of the basic equipment of every company where loads are lifted and transported. 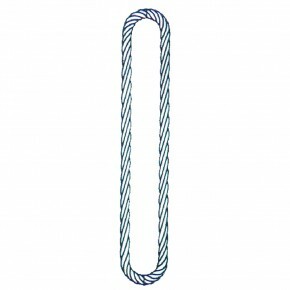 The manufacture of the ropes is regulated by DIN EN 13414 (formerly DIN 3088). The familiar distinction between the wire rope sling types N = normal rope, F = Flemish eye, K = cable-laid rope and G = grummet no longer exists. Instead, the European regulations distinguish between the wire rope slings according to the type of their core as well as the end fitting. 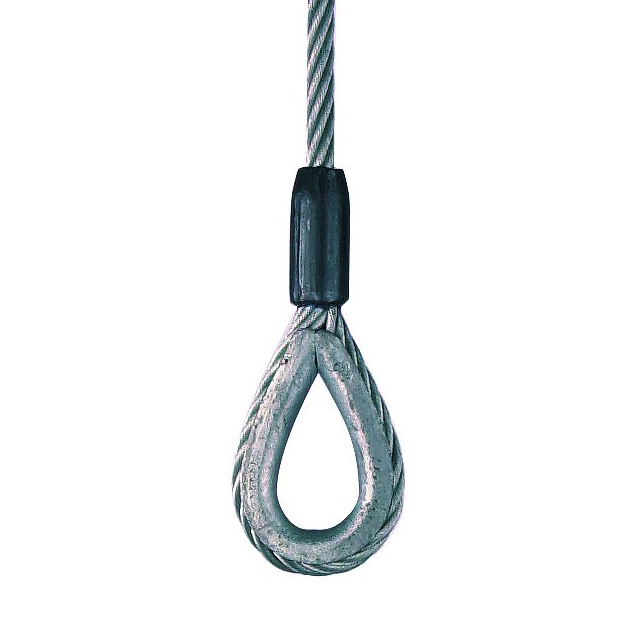 Distinction is made between 8 wire rope sling variants with different load capacities: Wire rope slings in swaged execution with aluminium or steel ferrules: Fibre core FC (1) or with steel core IWRC (2). The tables for the spliced end connections for wire rope slings with fibre core (3) or steel core (4) take into account the reduction of the breaking load due to the end fitting. For cable laid ropes in swaged (5) and spliced (6) execution, ropes with steel cores are used, which are stranded around a central fibre core. In the case of endlessly laid grummets distinction is made between ropes with fibre core (7) or steel core (8).